Click here to download a PDF version of this flyer. and Tuesday, June 21, 2016 at 9:00 a.m.
*Meeting times are subject to change. Please check the website for an updated schedule. 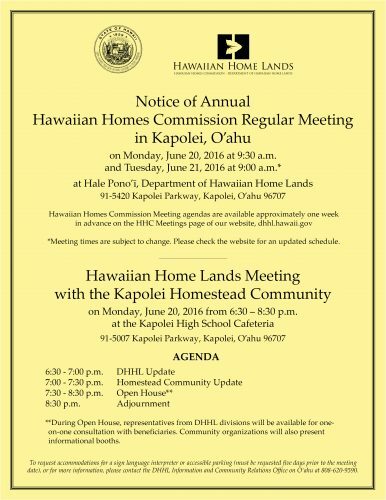 Commission Update: The Hawaiian Homes Commission will be conducting a drive-thru site visit of the Kapolei Hoʻolimalima Project on Monday, June 20, 2016, at 5:00 p.m. No motion will be considered. Click here for a Site Visit Agenda & Map. 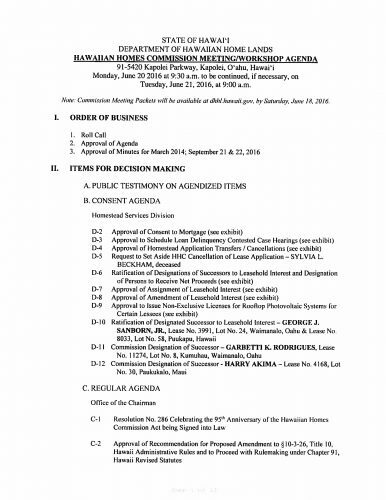 Click here to download a PDF version of the agenda. 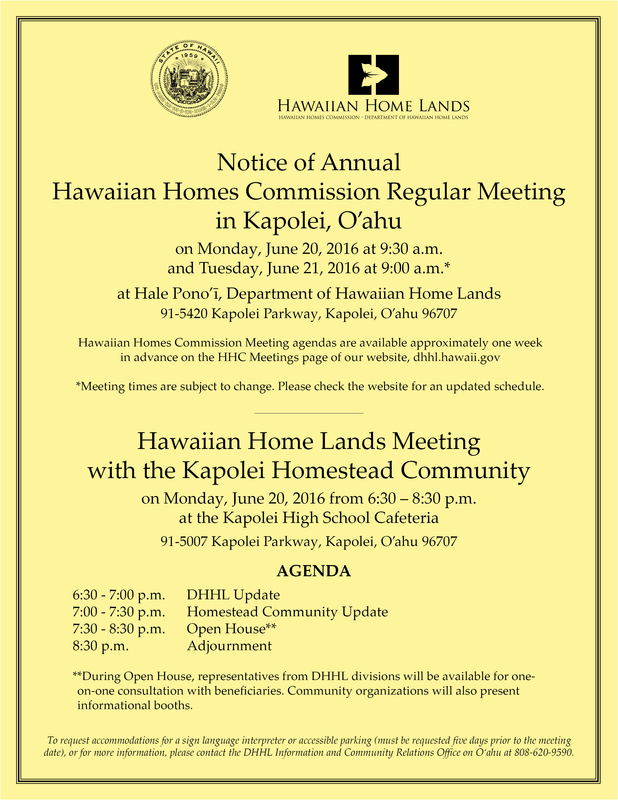 on Monday, June 20 2016 from 6:30 – 8:30 p.m.
**During Open House, representatives from DHHL divisions will be available for one-on-one consultation with beneficiaries. Community organizations will also present informational booths. 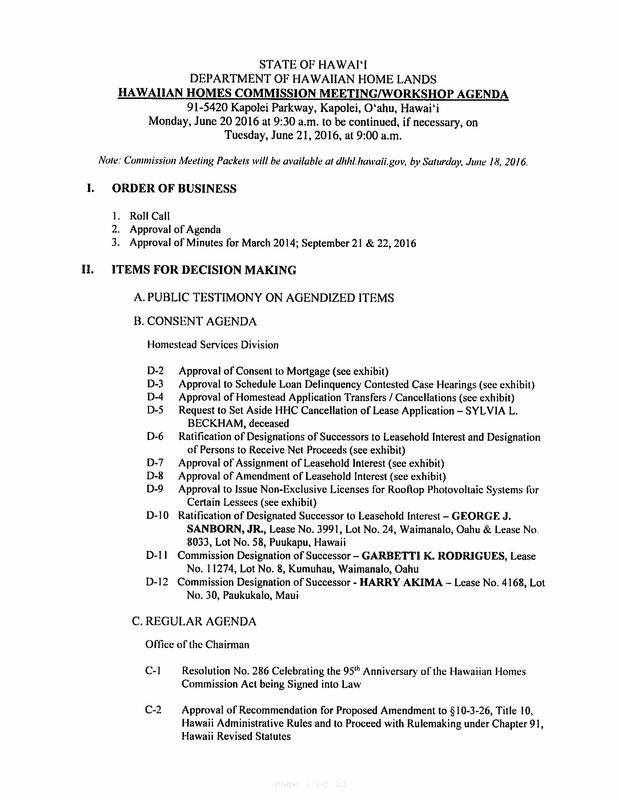 For further information or special accommodations for a sign language interpreter or accessible parking (must be made five days prior to the meeting date), please contact: Information and Community Relations Office at (808)620-9590.